Earth’s rotation is very important to the life of the earth and its survival. 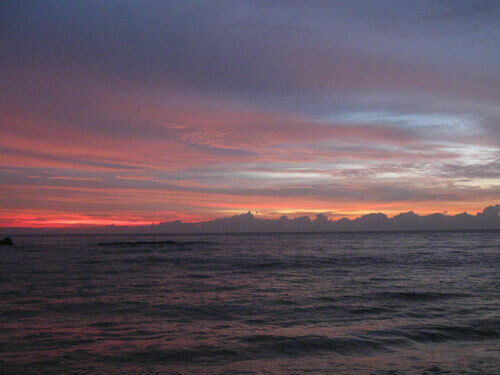 We all have seen how the Sun rises in the morning and crosses the sky during the day and sets at night. 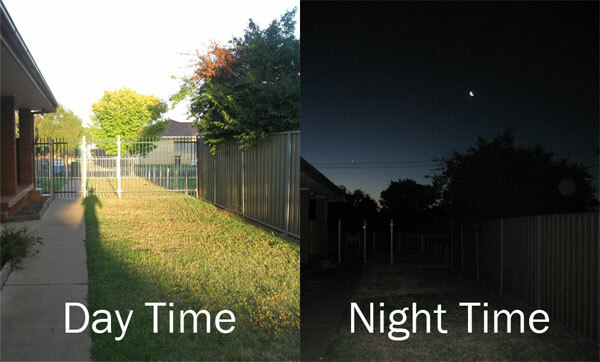 Simply, this is how we get day and night. Do you know that all these happen due to the Earth’s rotation? So, let’s talk about how Earth’s rotation takes place and what changes occur due to this. The Earth is (roughly) spherical, like a (slightly squashed) ball. The Earth’s axis is the imaginary line that runs through the centre of the Earth. One end of the axis is the North Pole and the other end is the South Pole. Earth is slightly tilted on its axis. 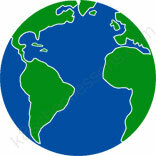 Earth is slightly tilted (slanted) on its axis as it rotates on its axis and orbits around the Sun. Tilt means turned toward one side. 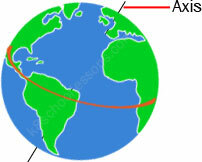 The Earth’s axis is tilted at an angle of 23.5 degrees. This picture shows the correct way of Earth’s rotation. Does the Sun actually move around the Earth? No, it doesn’t. The Sun does not actually move around the Earth. What actually happens is, Earth is turning on its axis makes it look as if the Sun is moving. Does the Sun travel across the sky? Why don’t we feel the Earth’s rotation? 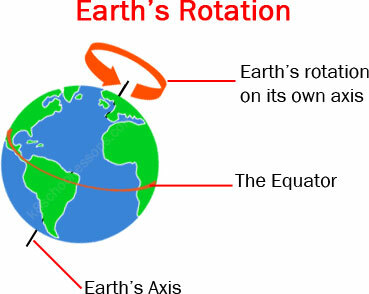 The Earth rotates slowly all the time, but we don’t feel any movement because it turns smoothly and at the same speed. The Earth spins (turn or rotate) on its own axis once every 24 hours (The Earth takes 24 hours to completely rotate on its axis). That means one whole day. This makes day and night on Earth. As Earth turns, half of the Earth faces the Sun, and the other half faces away. On the half of the Earth that is facing the sun is having daytime. On the half of the Earth that is facing away from the sun is having night. E.g. – 1) You are going to school during daytime. That time, the part of the Earth which you live on faces the Sun. 2) You are going to bed at night. That time, the part of the Earth which you live on faces away from the Sun. So this means, our Earth is rotating on its own axis while it is rotating around the Sun, not the Sun is rotating around the Earth. What are the changes happen because of the tilt of the Earth’s axis? 1) All places don’t have exactly 12 hours of day and 12 hours of night. 2) Seasons occur on Earth. Where does the Sun rise in the sky? The Sun rises in the East sky. Where does the Sun set in the sky? 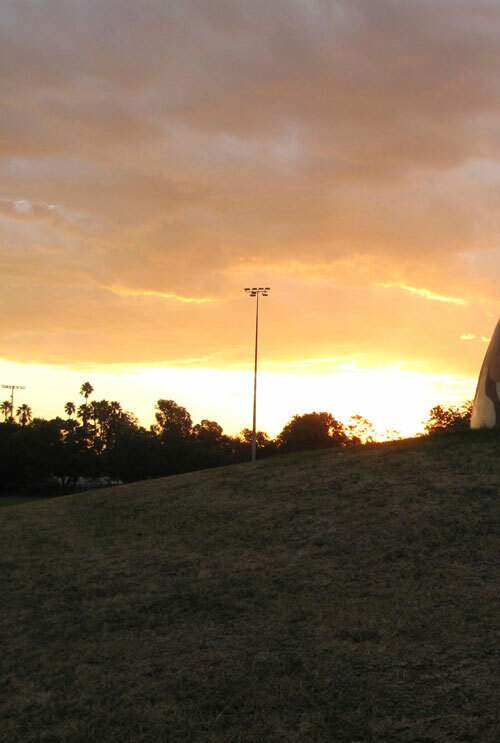 The Sun sets in the West sky. 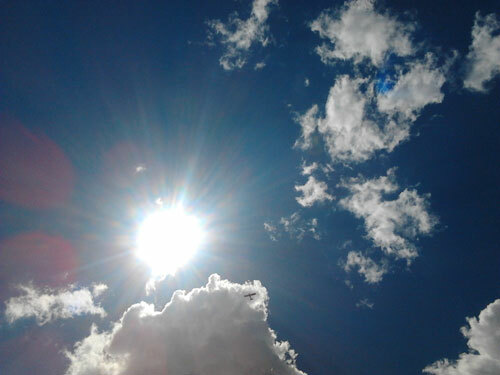 Why does the Sun seem to move across the sky? The Sun does not move across the sky. It seems to move across the sky starting in the east in the morning, moving toward the south at noon, and then toward the west as the day ends. It is the turning Earth that makes it seem like that Sun is moving. When are the shadows long? Shadows are long in the morning and evening. Why shadows are long in the morning and evening? Shadows are long in the morning and evening, because the Sun is low in the Sky at those times. The lower the Sun, the longer the shadows. When are the shadows shortest? Shadows are shortest at midday (noon). Why shadows are shortest at midday? Shadows are shortest at midday, because the Sun is at its highest in the sky. The higher the Sun, the shorter the shadows. 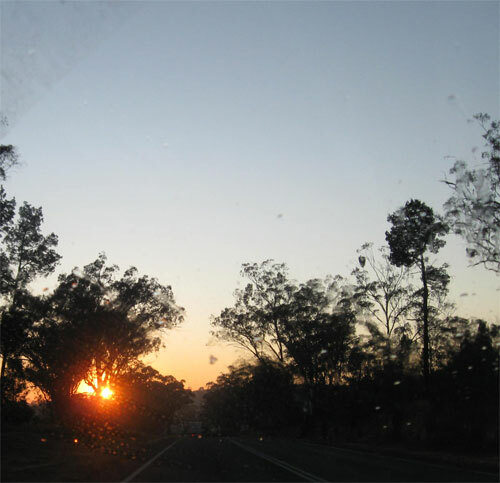 At what time the Sunrays has to travel a shorter distance to reach us? When the Sun is directly overhead, it has to travel a shorter distance to reach us. At what time the Sunrays has to travel a longer distance to reach us? As the Sun begins to set, its rays have much further to travel through the atmosphere towards us. Why does the Sun itself appear like a crimson sphere at Sunrise and Sunset? 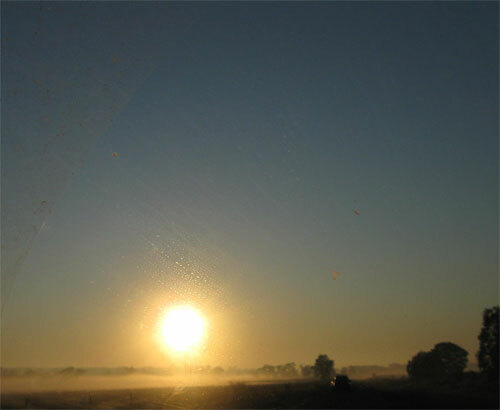 Dust and water droplets in the atmosphere scatter (spread out) some of the rays of light coming from the Sun. But the red and yellow rays of light are not scattered and they reach our eyes. Therefore the sun itself may appear like a crimson sphere at Sunrise and Sunset. 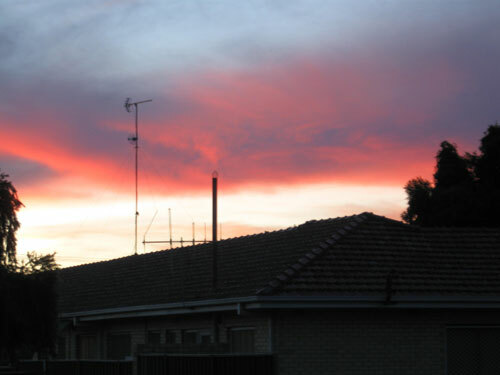 Why can we see beautiful colours in the sky at Sunrise and Sunset? At Sunrise and Sunset Sun’s rays shining from a low angle and tint (shade) the undersides of the clouds with beautiful colours.